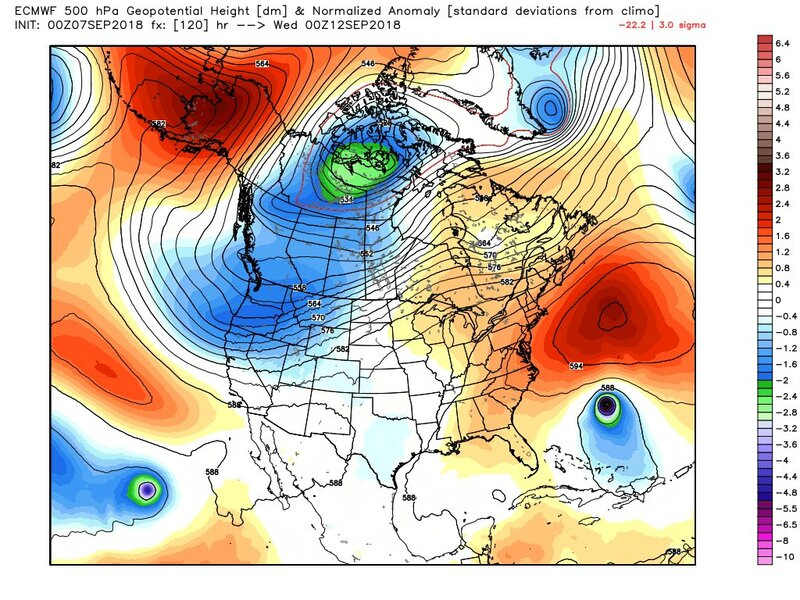 1) Sandy: Unusual late season track steered by very warm north Atlantic ridge into the Northeast in 2012. 3) Irma: Record length of time in Atlantic Basin for a system to hold category 4/5 strength in 2017. 4) Ophelia: Furthest north and east for a major hurricane to get in Atlantic Basin in recorded history eventually making landfall as a weaker system in Ireland in 2017. Unfortunately Puerto Rico happened to be in the way of Maria. Katrina is in a gray zone having gotten down as low as 902 millibars, as far as pressure goes, with a fairly warm ridge steering it westward to its north. New Orleans suffered mostly due to a bit of bad luck due to Katrina’s path and bad engineering due to its levee system in 2005. 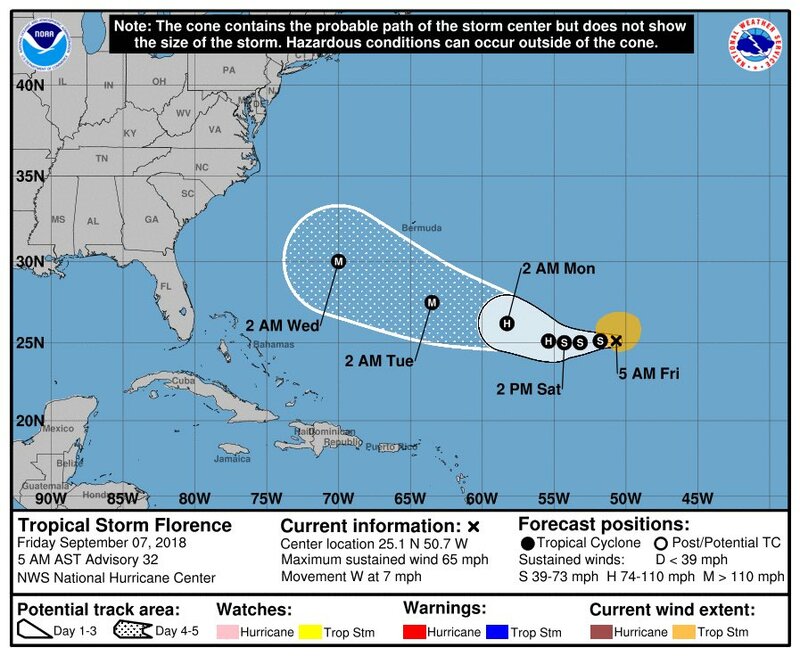 Updating yesterday’s tidbit… as of Friday morning’s advisory, 79 named storms have passed within 200 nautical miles of #Florence‘s position since 1851, and not one has ever come close to the U.S. coast. Globally, this is a remarkable day. 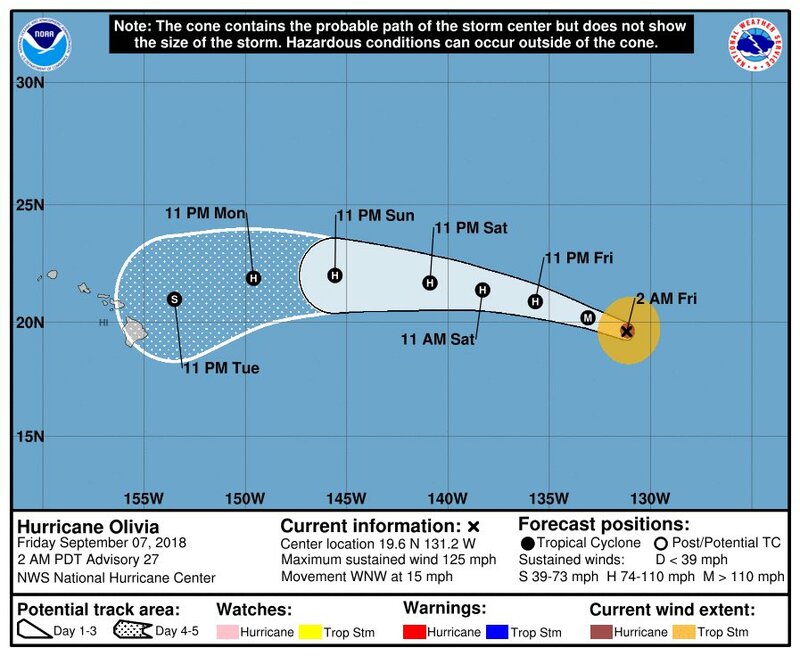 I can’t find another example of a hurricane/typhoon nearing Guam, Hawaii & the eastern United States at almost exactly the same time (days ~4,5,6 respectively). Closest is Omar, Iniki & Andrew in 1992 (2 weeks). Pretty incredible! 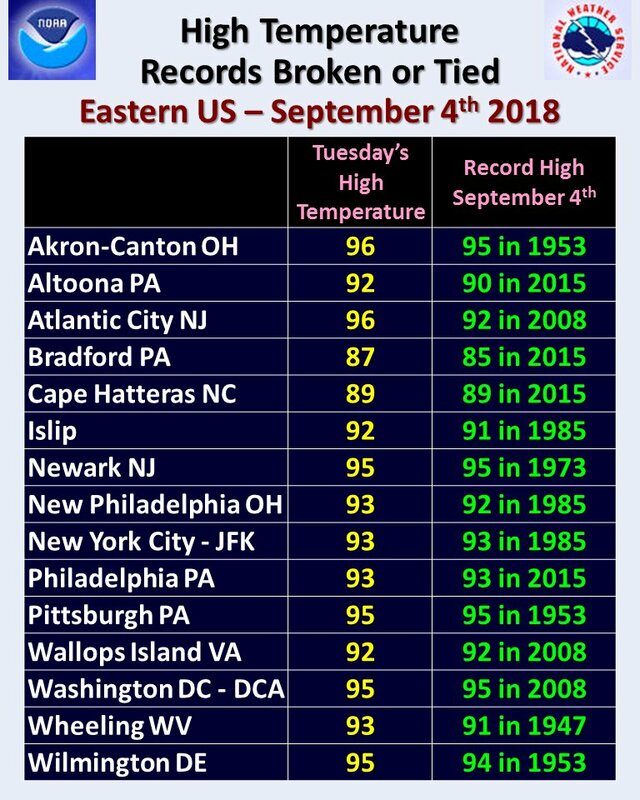 More high temperature records were broken or tied today. 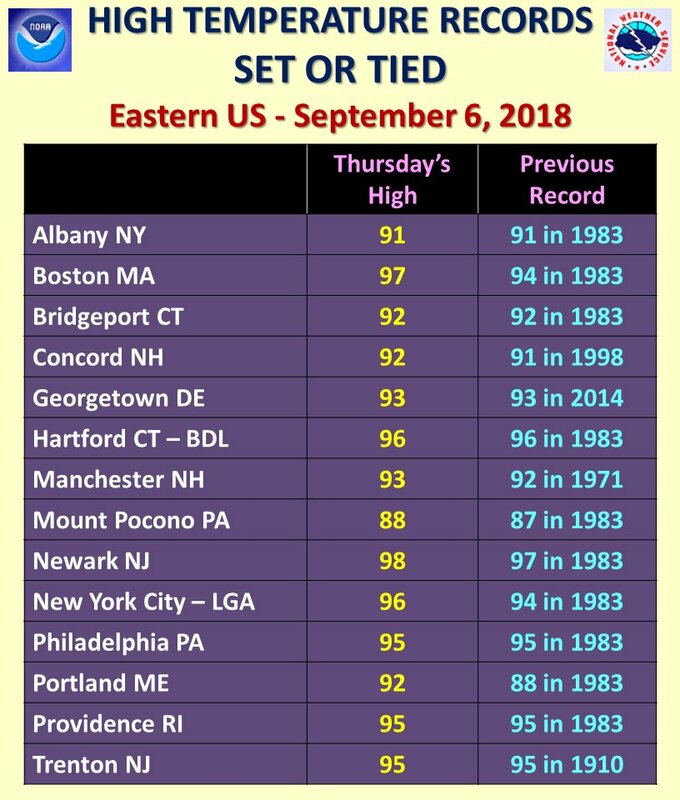 Interesting that most of these previous records for this date were set 35 years ago in 1983. 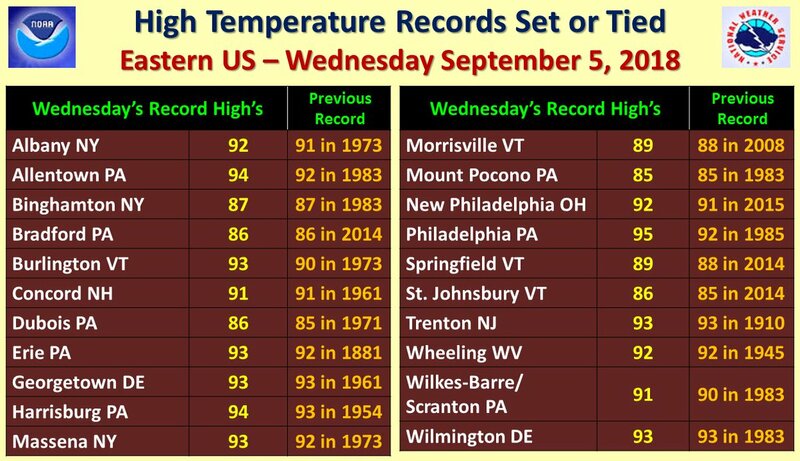 More high temperature records broken or tied across the Eastern US this afternoon. Several high temperature records broken or tied today across the Eastern US. 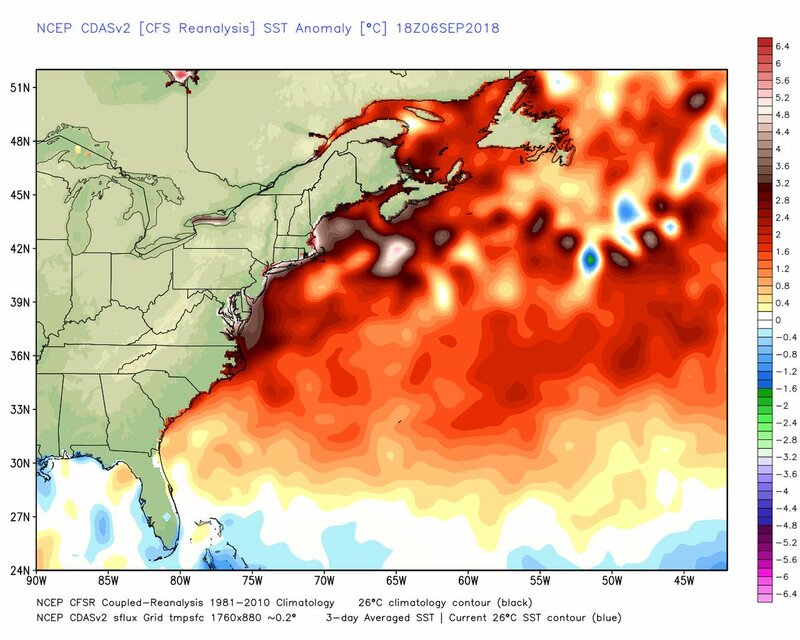 Extreme Temperature Diary 2018, Hurricane Florence 2018. permalink. 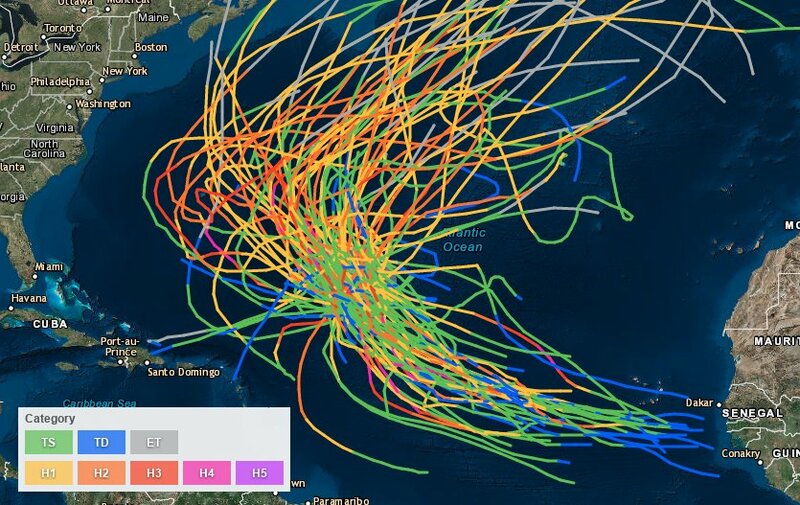 Extreme Temperature Diary-September 8, 2018/ Topic: Is Intensification of Hurricanes Affected By Global Warming?